I was one of Linda's many Iowa T.T.T. friends. She and I served on the National board together. We spent many a night together sharing a hotel room, and became close friends. I heard stories about her girls and of course, her beloved Roger. My sympathy to each of you and your families. Linda worked very hard for T.T.T. , and loved those little campers ! Although I do not know the family, Linda purchased my mom's house when she moved to Fremont. My mother loved this town house and was interested in the person who would own it after her. I told her that Linda Revis was widow who was so very kind and thoughtful with a quiet spirit. I enjoyed the very short time I had the privilege of knowing Linda. My our wonderful Lord and Savior give you peace and comfort as you go through this valley of sorrow. Our deepest condolences on your loss. May your family be comforted by your loving memories of Linda. May the Lord bless and keep you. I met Linda through SENTC (Southeast Nebraska Tourism Council). She did so much promoting tourism and being a great leader as we worked together through a regional non-profit. My sympathy to the family. Linda always had a welcoming smile. 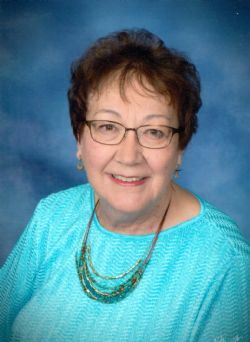 She will be greatly missed within the world of Nebraska hospitality and tourism. Our thoughts and prayers are with Linda's family and friends during this sad time. Linda was a passionate advocate for travel and tourism; she touched many lives throughout her career and will be remembered for her welcoming smile and caring attitude. worked several shows at the Omaha Civic Auditorium promoting Dodge County. We had lots of fun and as the years went by and we were busy, we grew apart. But I have many fond memories.....and always remember he laugh. Wonderful gal! So sorry for your loss, thoughts and prayers to the entire family. She was a very kind and caring lady. Many of us remember Linda's days as secretary here at Arlington Community Church. May she rest in peace!